Samsung is marketing a ton of different wearables currently, but some of them remain exclusive to overseas markets. Starting next week, you can cross the Gear S off that list, as Samsung announced that Best Buy and a bevy of carriers – AT&T, Sprint, T-Mobile, and Verizon – will begin selling the smartwatch on November 7. 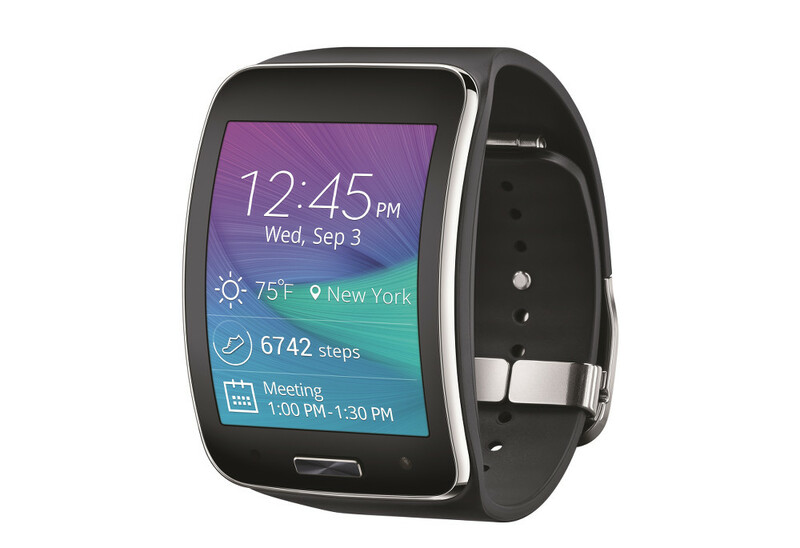 The Gear S, remember, is the manufacturer’s IP67-rated, Tizen-running smartwatch with an integrated cellular radio. Its curved AMOLED display (480 x 360) measures a massive (for a wearable) 2 inches diagonally, and behind it lies a 1.0 GHz dual-core processor, 300mAh battery, 512MB of RAM, 4GB of storage, Bluetooth and Wi-Fi. The Gear S also packs a wide array of sensors, including an accelerometer, gyroscope, compass, heart rate monitor, ambient light sensor, and UV detector. That premium hardware comes at a premium price. T-Mobile will sell the device at a hefty $349.92, and Sprint for $384 (AT&T is offering it for $199.99 with a two-year agreement). 24-month financing options are available, of course, but the Gear S will still be priced leagues above Android Wear smartwatches when it launches. In terms of data offerings, T-Mobile’s $5 per month option includes 500MB of data and unlimited texting. Through December, Sprint is waiving device fees for subscribers on shared plans 20GB or greater. If you have been anxiously awaiting the day you can leave your smartphone at home and answer calls and texts on your watch, the time has almost come. DALLAS – Samsung Telecommunications America, LLC (Samsung) announced today that the Samsung Gear S™ will be available in the U.S. beginning next Friday, November 7. Samsung’s next-generation wearable extends the smartphone experience to users’ wrists through connectivity and convenience. The Gear S features a beautiful 2-inch curved Super AMOLED® display and standalone carrier network connectivity1, giving on-the-go consumers the freedom to stay connected, even when away from their phone. Users can make a quick call, glance at information and notifications, and immediately take action right from their wrist. With an intuitive user experience, Gear S lets users view, receive, and reply to rich notifications from apps like email, messages, and social networks without pulling out their phone, or even having their phone with them. Speak or type emails, texts or posts from Gear S with both S Voice™ and a full QWERTY keyboard. The Gear S is equipped with several sensors, including an accelerometer, UV sensor, barometer, heart rate monitor, GPS and an IP67 rating for dust- and water-resistance2. From the paired phone, the Gear S features turn-by-turn navigation provided by HERE. View full text articles with pictures from News Briefings and other news applications. With S Health™3, Nike+ Running and a number of third party applications available through Samsung Gear Apps, it’s easy to find the right program and keep track of your fitness progress. Listen to songs from the MILK Music™ app powered by Slacker, right from your wrist. The Gear S will be available in both White and Black. AT&T, Sprint, T-Mobile and Verizon Wireless will carry the Gear S. The Gear S will also be available at Samsung Experience Shops in Best Buy. Carriers and retailers will confirm specific pricing and availability.